in ArtWalk’s First Exhibition, ArtWalk II adds the element of collaboration to the public art mission. ArtWalk works with various local organizations to raise up a diversity of voices and talents within the community. This public art celebrated the Grand Opening of the Light House Bistro– a social enterprise stemming from the successful culinary training program of the Light House Homeless Preventions Support Center. 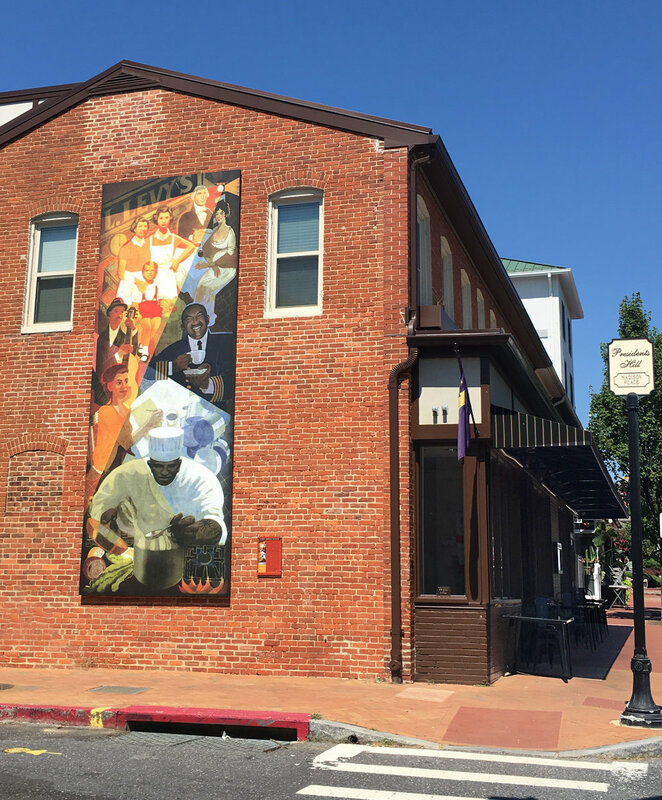 The imagery was composed by Comport with input from community members of the Light House, Presidents Hill Neighborhood, the Arts District, and family of the original Levy's Grocer where the Bistro is now located. Completed February 2017. 202 West St. Annapolis MD 21401. 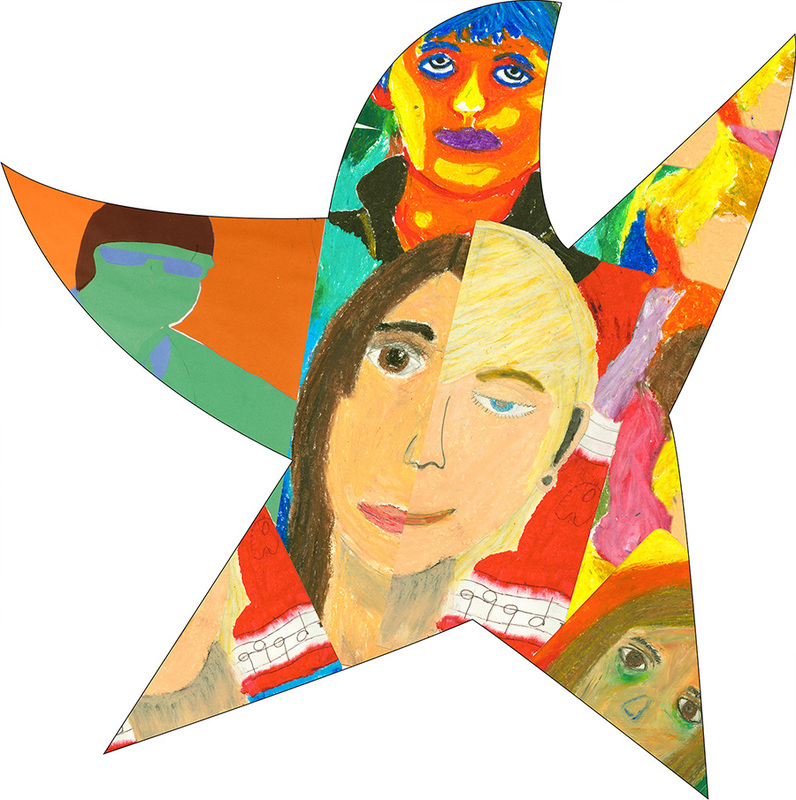 Students Taking Flight incorporates a medley of colorful self-portraits by the students of Bates Arts Magnet Middle School. The diversity of styles in the students' work is confident and uninhibited, like the dancing stars that take flight across the fence. 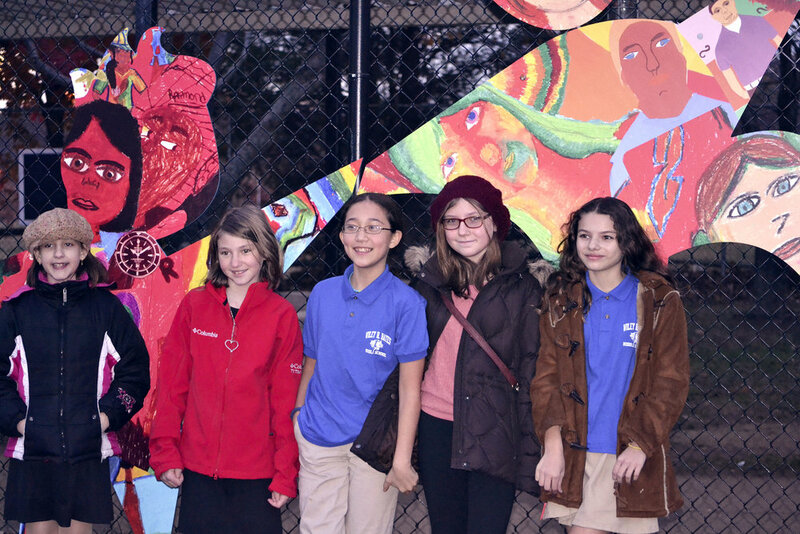 Artists from Lighthouse Shelter & Providence Center collaborated in the Art at Large studio to create four large scale murals. A variety of media and tools were used (even a baby's footprint!) 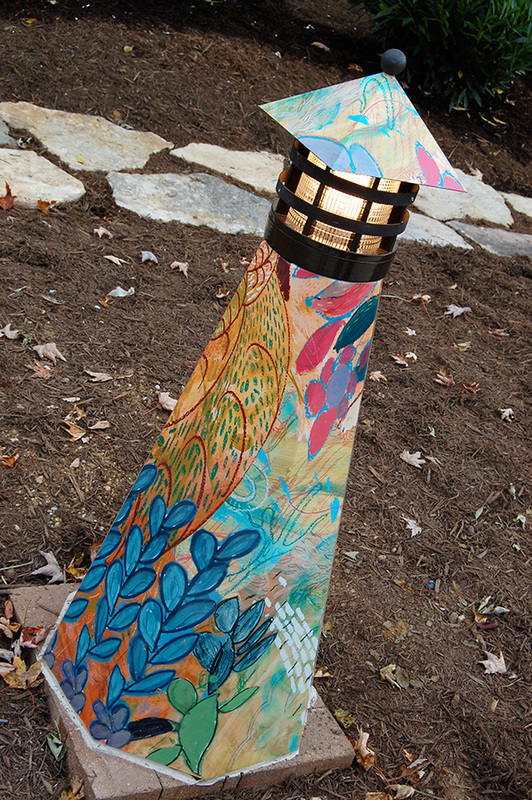 to express the colors, symbols, and motifs that enliven the Lighthouse Shelter Healing Garden today through a spectrum of outdoor panels and lighthouse sculptures. VisionWorkshops provides youths from under served communities the incredible opportunity to capture their world through photojournalism workshops; the ESOL students of their Crossing Borders program produced 24,000 action-packed photographs on the subject of soccer. 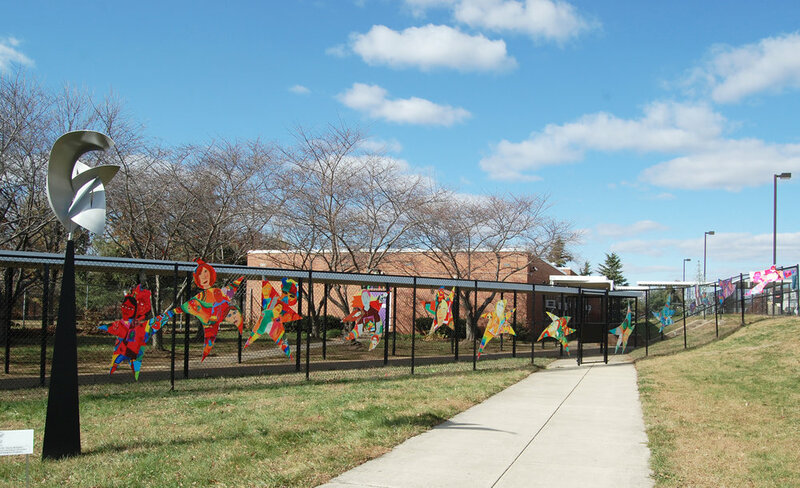 The outstanding image chosen to grace the front of the Pip Moyer Rec Center on Hilltop Lane was captured by student Cande Ernesto Castaneda. An exhibition of 60 more stunning photographs from the program accompanied the unveiling. When ArtWalk asked the artists of the Annapolis Senior Activity Center at Wiley H. Bates Heritage Park for their best works on the subject of florals, we were overwhelmed by the response. An inspiring variety of subject, media, style, and interpretation gave curator Sally Wern Comport nothing short of a garden to work with. To bring life and color to the revitalized MarketHouse, 8 colorful pennants suspend above patrons displaying 16 unique works of art.